You know your latest public relations campaign is on to a winner when you hear your key message coming out of the mouth of a world leader. So when Australian Prime Minister Tony Abbott said “coal is good for humanity” I can’t help but picture a few corks liberated from the necks of expensive bottles of bubbly in coal company boardrooms. Because over the last few years the coal industry has been trying to hijack the issue of energy poverty by telling the world that the only way the poorest nations can pull themselves out of poverty is by purchasing lots of their product. In recent months one coal company in particular – Peabody Energy – has been pushing this line harder than most. Peabody describes itself as “the world’s largest private sector coal company” that is “fueling the world with energy essential to sustain life”. Back in February, Peabody launched a new global public relations campaign called “Advanced Energy for Life” to supposedly raise awareness of the energy poverty issue. Australian coal industry leaders have also been dropping the “energy poverty” line into interviews and op-eds at every opportunity. There are, I think, two ways to see this. The first is that the coal industry has had a sudden onset of benevolence, altruism and empathy for the world’s poor. The second is that the coal industry is trying to hide its self-interest behind a deeply cynical campaign to get more coal burned at a time when world leaders need to be working out how to do the opposite to avoid the worst impacts of climate change. Shaping Peabody’s campaign is one of the world’s biggest PR companies Burson-Marsteller – a group well practiced at defending the interests of controversial clients and known for its “crisis management” expertise. Burson-Marsteller handled the PR for one of the world’s worst industrial disasters – the 1984 Union Carbide gas leak in Bhopal, India, that killed an estimated 20,000 people and affected more than half a million others. Burson-Marsteller has also reportedly worked for governments with questionable human rights records and tried to help the tobacco industry with the bad PR you tend to get from a product that increases people’s risk of getting cancer. The firm stopped working for tobacco in 2010. In Australia, Burson-Marsteller is listed as a lobbyist for Peabody Energy, where the company has 11 coal mines and sold about 35 million tonnes of coal in 2013. As the November G20 leaders summit approaches in Brisbane, the Australian Government has already scrubbed the words “climate change” from the meeting agenda, which will focus on driving economic growth. But Peabody has been busy trying to get its own particular view of “energy poverty” in front of the G20 world leaders. On August 25, the G20’s Energy Sustainability Working Group held a meeting in Brisbane which included a day-long workshop on “energy access”. Charles Meintjes, the president of Peabody’s operations in Australia, gave a presentation at the meeting which included many of the “Advanced Energy for Life” talking points (I have a copy of the presentation slides). Meintjes’ presentation told the workshop that 3.5 billion people live without adequate access to electricity. One slide had a picture of an ultrasound scan of baby in a womb with the words “Energy is vital” printed over the top. The presentation said almost three billion people use “primitive stoves” for cooking and heating and that this smoke exposure “is equivalent to inhaling 400 cigarettes per hour”. As the world’s urban population grows, Meintjes slides said “coal is the only affordable fuel, at scale, to meet rising energy needs”. Less dirty coal plants would help “improve emissions”, according to Meintjes’ slides. One of those who also spoke at the same meeting was Dr Matthew Dornan of the Crawford School of Public Policy at the Australian National University. Dornan’s research looks at ways to use policy to widen access to electricity and is “technology neutral”. I was not impressed. The presentation conflated the issue of energy poverty – on which the workshop was focused – with promotion of the coal industry. The presenter demonstrated a lack of understanding regarding the causes of energy poverty, falsely implying that an underlying reason for energy poverty is the cost of electricity supplied through the network which, according to the presenter, is more expensive due to investments in renewable technologies. Energy poverty involves people not having access to an electricity supply or to clean cooking technologies. 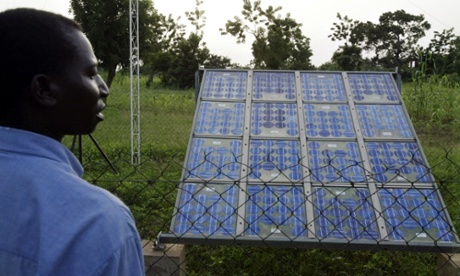 In the case of electricity, it is primarily about the cost of connection, not about the price charged for ongoing supply of electricity by the utility, which is almost always cheaper than traditional fuels (such as kerosene) still used for lighting by un-electrified households. The claims by Peabody that reducing our reliance on coal in favour of low carbon technologies will cause energy poverty due to higher prices are inaccurate, without supporting evidence, and in this case, disingenuous. The primary argument made in the presentation was not robust, it was self-serving, and it was not backed by evidence. One of the slides presented to the workshop suggested there was a link between rising power prices in Spain and unemployment rates. Dornan said this was a “textbook case of spurious correlation”, adding it was like showing rising divorce rates and falling smoking levels on the same graph and then trying to claim they were linked. Some thirteen of the slides presented to the G20 workshop are identical (with only the occasional image swap and the odd word edited) to slides presented at a meeting in Norway in June (check pages 5, 6, 8, 10, 13, 14, 17, 27, 29, 31, 33, 36, 37 if you’re interested). Peabody was in Norway to try and convince the Norwegian Government not to exclude coal and petroleum companies from its $893 billion pension fund. The Norwegian Government will decide later this year if “the exclusion of coal and petroleum companies is a more effective strategy for addressing climate issues and promoting future change than the exercise of ownership and exertion of influence”. But back to Brisbane (my home as it happens) where the city’s public relations arm – Brisbane Marketing – is preparing to host a series of “Global Cafe” talkfests as side-events to the G20. Peabody Energy is sole main sponsor of one of the five Global Cafe “themes” titled “Powering Future Economies – Energy”. Brisbane Marketing lists the British Broadcasting Corporation as a media partner for the coal-sponsored event. Peabody has also issued a video to promote a campaign it has dubbed “Lights On” which highlights the G20 meeting and asks for support to “urge world leaders to turn the lights on”. Almost nobody argues against the desperate need for the world’s poor to be able to access better technology to improve indoor air pollution and to be able to get access to electricity. The World Bank, the International Energy Agency and the United Nations are among those who say it’s an issue that needs to be urgently tackled. Peabody and other coal industry figures often quote those institutions in their energy poverty lobbying. They don’t quote the World Bank when it says: “Climate change is a fundamental threat to development in our lifetime. If we do not confront climate change, we will not end poverty”. The coal industry desperately wants to be part of conversations about the future – as long as those conversations don’t dwell too long on the climate change impacts of their product. In the energy poverty debate, the public needs to know where concern for the world’s poor stops and the coal industry’s profit motive starts. That public includes Tony Abbott.